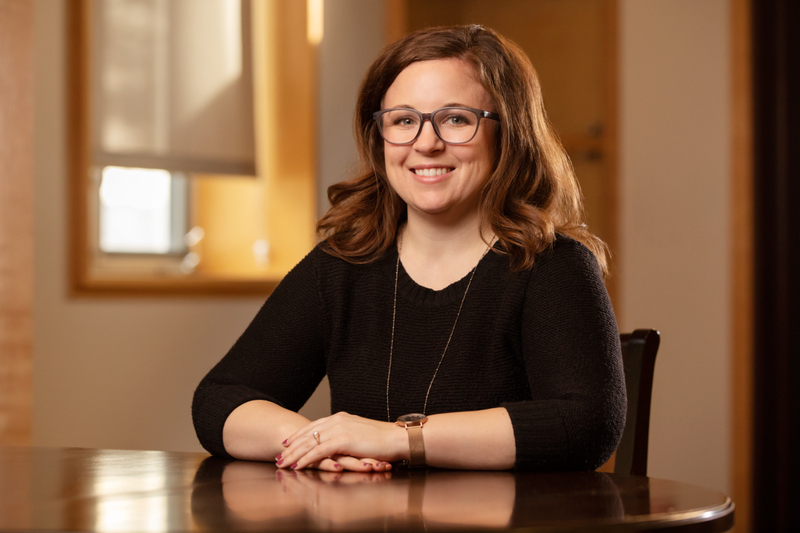 University of Illinois postdoctoral research associate Carolyn Sutter found in a recent study that women who are at greater risk of breastfeeding cessation also may have less access to resources that could provide helpful information and assistance. CHAMPAIGN, Ill. — Single mothers, those with less education and mothers enrolled in the Special Supplemental Nutrition Program for Women, Infants and Children – better known as the WIC Program – may receive less information and support with breastfeeding, a new study found. Led by University of Illinois postdoctoral research associate Carolyn Sutter, the study suggests that mothers who are at greatest risk of breastfeeding cessation may have access to fewer resources that provide helpful information and support. More than 440 new mothers responded to an online survey about their breastfeeding practices, breast pump use and infant feeding methods at six weeks postpartum. All of the women were participants in the Synergistic Theory and Research on Obesity and Nutrition Group 2, better known as STRONG Kids 2, an ongoing child-obesity prevention program administered by the U. of I.’s Family Resiliency Center. Despite the many documented benefits of breastfeeding, such as breastfed infants receiving antibodies that resist bacteria and viruses and reduced risks of asthma and allergies, only about half of U.S. mothers breastfeed their infants through their first six months of life, according to the Centers for Disease Control and Prevention’s Breastfeeding Report Card. Barriers that discourage mothers from breastfeeding or expressing breast milk to feed their infants include physical complications such as insufficient milk supply, and structural barriers such as mothers’ need to return to work. Slightly more than 70 percent of the mothers in the current study were breastfeeding exclusively, while another 18 percent of them were feeding their child a combination of breast milk and infant formula. Women were asked whether they had received information on breastfeeding and breast pumping or support for these practices from professional sources such as clinicians and WIC; educational and informational media; relatives, friends and peers; their workplaces; and their child care providers. The majority of the women in the study were first-time mothers, and 97 percent of these women reported that they received support from their health care providers or other professionals to help them with breastfeeding. Nonetheless, Sutter found that these mothers, along with women participating in WIC, were less likely to breastfeed their infants, even though WIC provides educational materials and assistance to mothers who do so. More than 95 percent of breastfeeding mothers and 78 percent of the mothers who used breast pumps reported that they received information and support from professional sources. However, Sutter found that mothers’ sources of information and support were linked with demographic differences. For example, first-time mothers reported receiving greater levels of support from professionals and from friends and relatives than did their counterparts who had given birth previously, Sutter found. Accordingly, women who had college or postgraduate degrees, who were white and not enrolled in WIC were more likely to seek information from books, websites or other media. While receiving advice from a trusted friend or relative may be beneficial, Sutter noted that interpersonal factors may become impediments, especially when family and community members provide incorrect information to the new mother or when negative subjective norms in the community discourage breastfeeding. To be effective, educational and informational materials about infant feeding practices must be culturally sensitive and be sensitive to women’s differing lifestyles, Sutter said. For example, mothers who must return to work shortly after giving birth may find information on using breast pumps more useful to them than information on breastfeeding alone. Sutter will present her findings at the National Council on Family Relations annual conference Nov. 7 in San Diego. The paper was published recently in the journal Breastfeeding Medicine. Barbara H. Fiese, the director of the center and a professor of human development and family studies, co-wrote the study along with Brent McBride, the director of the Child Development Lab; nutritional sciences professor Sharon M. Donovan; and graduate students Alexandra Lundquist and Erin C. Davis. Editor’s notes: To reach Carolyn Sutter, call 217-300-7206; email carolyns@illinois.edu.